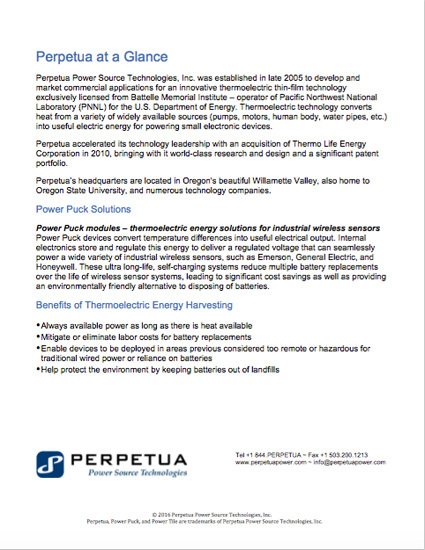 World Class Partners | Perpetua Power Source Technologies, Inc. World Class Partners – Perpetua Power Source Technologies, Inc.
Perpetua is proud to have a list of world-class research partners – uniquely situated in the Pacific Northwest region of the United States. 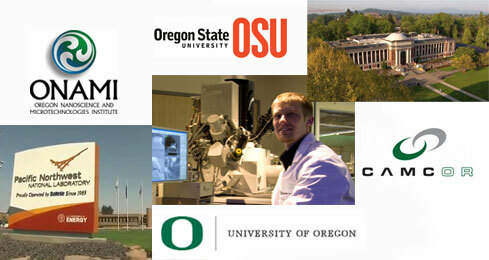 Perpetua has worked with the Pacific Northwest National Laboratory to leverage over a decade of advanced materials and process developments; has partnered with the Oregon Nanoscience and Microtechnologies Institute (ONAMI) and Center for Advanced Materials Characterization in Oregon (CAMCOR); licensed advanced materials from the University of Oregon; and is working with Oregon State University on cooperative grants. Perpetua has also received development funds from the U.S. Department of Homeland Security and the National Science Foundation. © 2019 Perpetua Power Source Technologies, Inc.